A report by Denieca Brown for Loop. Kingston, Jamaica is now home to the region’s first Festo Authorized and Certified Training (FACT) Centre . 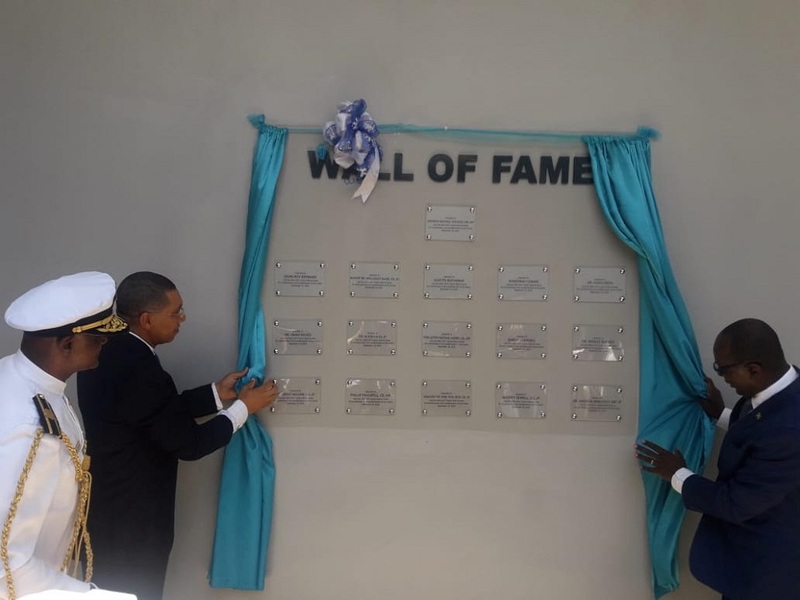 The training centre which is located at the Caribbean Maritime University (CMU) was officially opened by Jamaica’s Prime Minister, Andrew Holness on Wednesday. The centre is expected to churn out up to 4,000 graduates who will be internationally certified in industrial automation and mechatronics. Speaking at the opening ceremony, Holness noted that the new training facility puts the island nation in a better position to develop its human resources, particularly preparing the island’s youth for the future. Holness noted the facility’s opening comes at an opportune time, as he said that Jamaica along with the rest of the world stands on the cusp of the fourth industrial revolution. “Like the CMU has shown, our institutions must adapt realizing that we are now on the cusp of what is the fourth industrial revolution. We stand on the edge of a technological revolution that is profoundly changing the way in which we live, work and communicate,” said Holness. “The transformation is unlike anything we have experienced [however] one thing is clear our response to it must be one that is integrated and comprehensive,” added Holness. According to Holness, the fourth industrial revolution integrates the physical, digital and biological world which makes the traditional approaches to teaching engineering non- beneficial and non-productive. In the past, he noted that this traditional approach had resulted in the tremendous shortage of certified technicians to service many of the island’s important industries such as manufacturing, agro processing, and the health sector. “Some equipment across various sectors still have to be maintained and repaired by foreign expertise,” said Holness. However, the Jamaican Prime Minister expressed confidence that the new FESTO training centre would ensure that certified human resources would be available and help to improve the country’s economy. The state-of-the-art facility resulted from a partnership between the CMU and internationally renowned German training institute, Festo Didactic.